Beginning today I will be taking some time off from my blogging duties. Some of you may remember that I was working on a new book and also translating Guadalupe: A River of Light into Spanish. The translation will take another week or so but the new book got transformed. I had started gathering notes and organizing the general plan of the new opus but something happened that changed completely the focus of that book into something very different from the original idea. I do not know the source of the inspiration, it may have been one beer I had last night, or may be my guardian angel gave me a push in the right direction. I really don’t know. This time I was reading something in the web and whatever I was reading somehow combined with one email I had received a few minutes earlier. I don’t quite remember how it happened but soon the same kind of “stream of thought” illuminated my mind and I saw something about the history of the Papacy that I had never seen before. I felt again that it was my obligation, my unavoidable duty, to write a book about it. It is not going to be a concise book like the last. This has to be developed to a certain length it may reach about 400 pages if I am not mistaken. I am asking my dear readers to pray as often as you can for the success of this new enterprise. 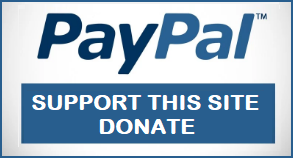 Those of you who want to help financially, please use the PayPal button located in the right column.. Type “book” in the purpose field and I will reserve a copy for you. When I am done writing it, those who help me stay alive will receive a neat electronic format copy you can read in your computer or reading device, smartphone, coffeemaker, hairdryer, or whatever “smart” device you may own. If you liked the Guadalupe book you will love this one. I can assure you there are details in this book that are so clearly self-evident that you are going to wonder how no one has noticed them before. One more thing: this book demolishes any pretension to deny the traditional Catholic interpretation of the phrase “You are Peter and upon this Rock I will build my Church.” There will be no “alternative explanation” left standing but do not rush to think this is a copy of Upon this Rock, the excellent book by Steve Ray. No, sir. To tell the difference however, you will have to wait until it is published, and buy a copy so yours truly can join the select group of people that have lunch every day of the week. Now seriously, I will be absent from the blogosphere for a month or two. Exceptionally, I may post a short article if something comes up that deserves the attention and commentary of a Christian, Conservative, knuckle-dragging Neanderthal from the Middle Ages — whatever that is. God bless you and keep you until we meet again. Will miss you, Carlos! Will you still be on Facebook occasionally? Thank you. I will be visiting FB at least once daily. This is quite a project but be sure that if you like the Guadalupe book you are going to love this one. I can’t believe all the stuff I am finding. The first week will be spent just making the book plan.